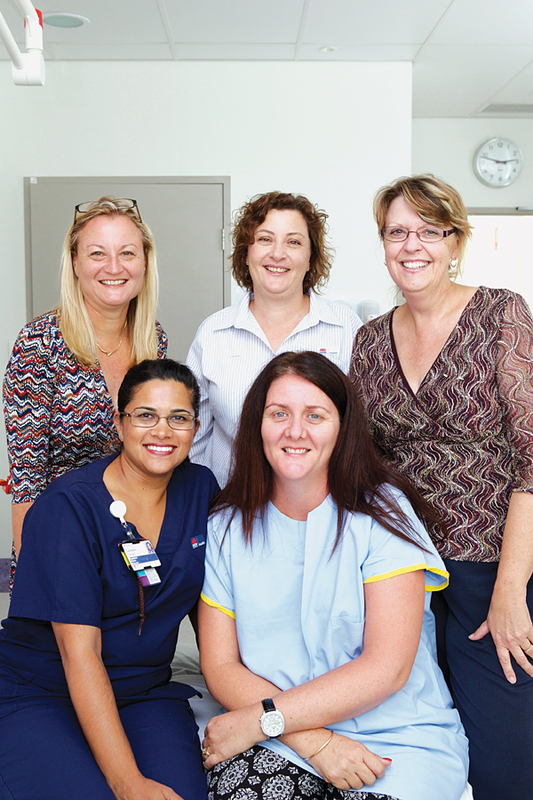 “Birthrate Plus demonstrated an increase in acuity … which strengthened our case for additional staff.” Candace Everard (front, left), Acting Midwifery Unit Manager, Westmead Hospital. One-on-one care for mothers is possible at Westmead’s birth unit thanks to Birthrate Plus. 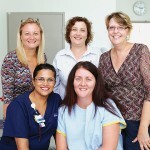 Midwives at Westmead Hospital’s birth unit are working towards giving mothers one-on-one care during labour and birth, after successfully using Birthrate Plus to show the urgent need for a big staff increase. The birth unit is getting more midwives on all shifts – up from eight to 11 on mornings and afternoons and from six or seven to 10 on nights. “We have finally achieved the numbers Birthrate Plus showed we needed,” said the unit’s acting Midwifery Unit Manager Candace Everard. The birth unit delivered 5375 babies last year, second only to Royal Prince Alfred Hospital. The Westmead birth unit also triages pregnant women on the phone: last year it took 10,379 calls. It does foetal monitoring of women attending the emergency department with non-pregnancy related issues. The unit’s midwives also carried out 6037 assessments of women who came to hospital with concerns and questions about their pregnancy. Previous understaffing often led to antenatal and postnatal bed block. “We just didn’t have the numbers to cope. On some days we only had four or five of our 13 birthing rooms to look after women. The other rooms were full of ante and post natal women,” Candace said. “Birthrate Plus is linked to the Ministry of Health policy Towards Normal Birth which asks us to provide one-on-one care for certain categories of women. They include women with first labours, with breeches, with twins, or who have had a previous section. “Previously we did not have enough midwives to do that. We usually found ourselves looking after two patients at a time – if not more. “It is not safe for one midwife to have to care for two or more women. A high-risk unit like ours includes women who have had postpartum haemorrhage or women who are hypertensive and require specialist management with magnesium sulphate. Not to mention women who are in premature labour or women who previously had a stillbirth, both of which would require one-to-one care.